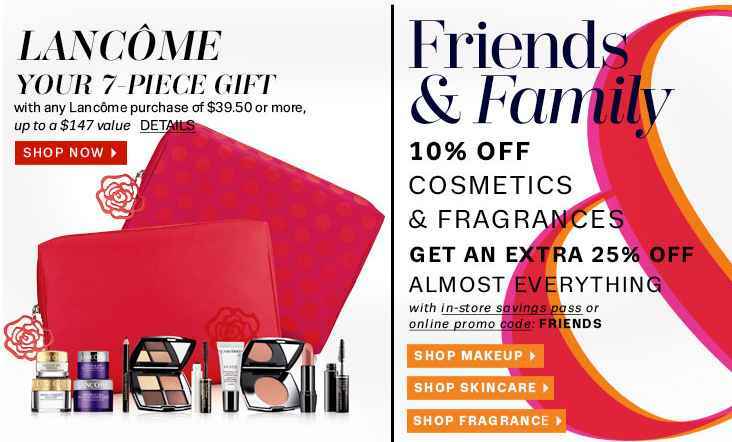 Home / Deals / Online Deals / Coupon Codes / 10% off Estee Lauder, Clinique, Lancome & More! If you are a fan of Department Store Cosmetics like Estee Lauder, Clinique, Lancome and more there is a nice Lord & Taylor Coupon Code for 10% off your Cosmetics and Fragrances Purchase! That means you can save 10% off your favorite makeup product with the coupon code FRIENDS at checkout. Shipping is free on orders of $100 or more so order several items to get to the minimum, or you can print an in store coupon if you have a Lord & Taylor near you. Sports Equipment Bag | Starting at $7.56!